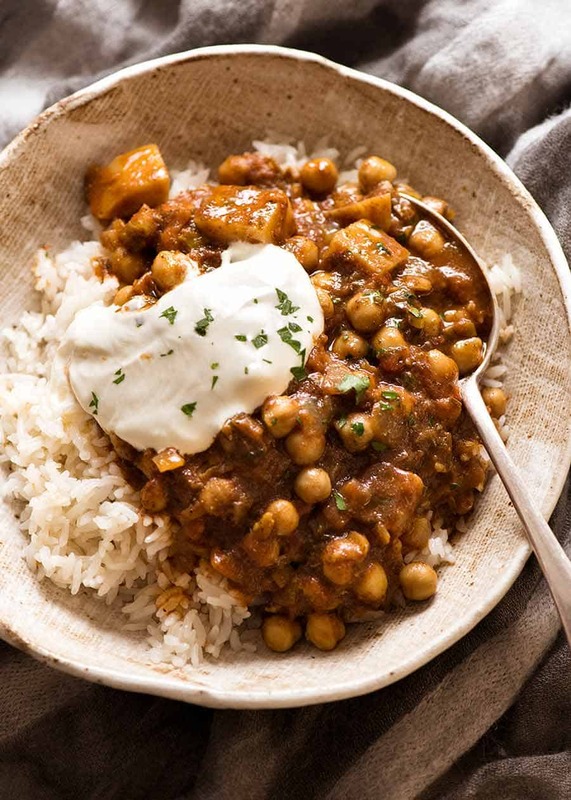 Serve with rice – basmati would be ideal, or Coconut Rice if you’re wanting to impress. To go all out, add some Easy Soft Flatbreads! 2. 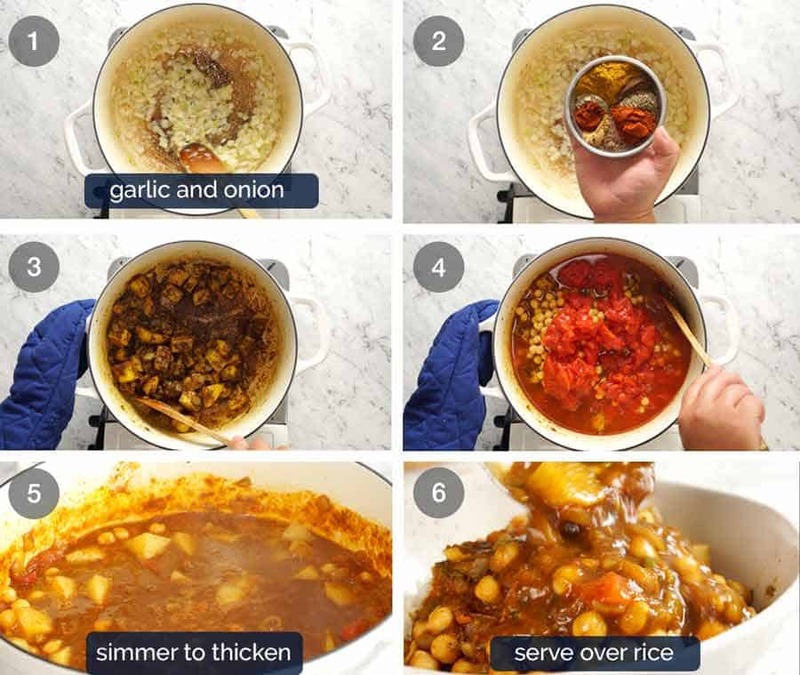 Curry Powder: This can be made with any curry powder you have / want. 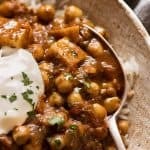 I’ve made it with Clives of India, Keens and Hoyts over the years (brands sold at Australian grocery stores) as well as curry powders from Indian stores, and they were all great. 3. Spices: Because there are quite a number of spices, it’s not the end of the world if you skip one or two of them (except curry powder!). 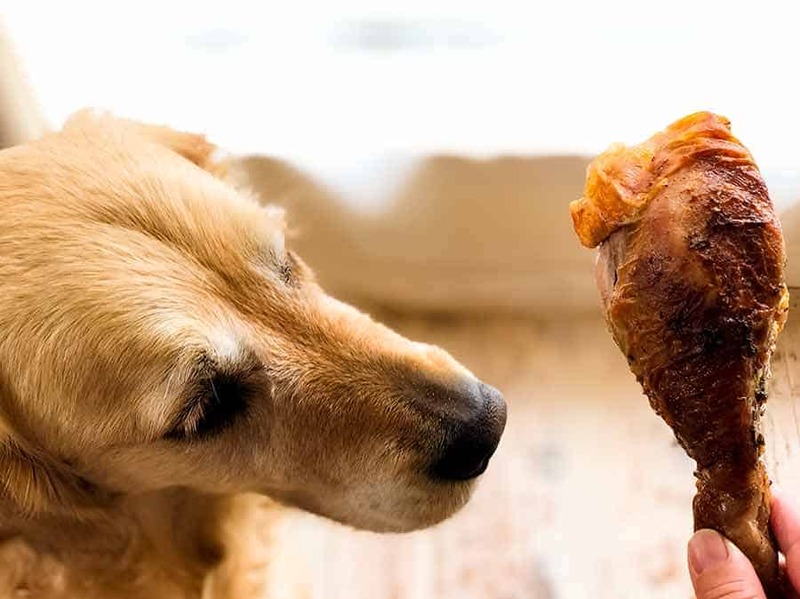 It won’t taste quite the same but still really great. The ones that aren’t that critical (in isolation) are: nutmeg, thyme, cayenne, pepper. Then either cumin OR coriander (do not leave out both). 5. 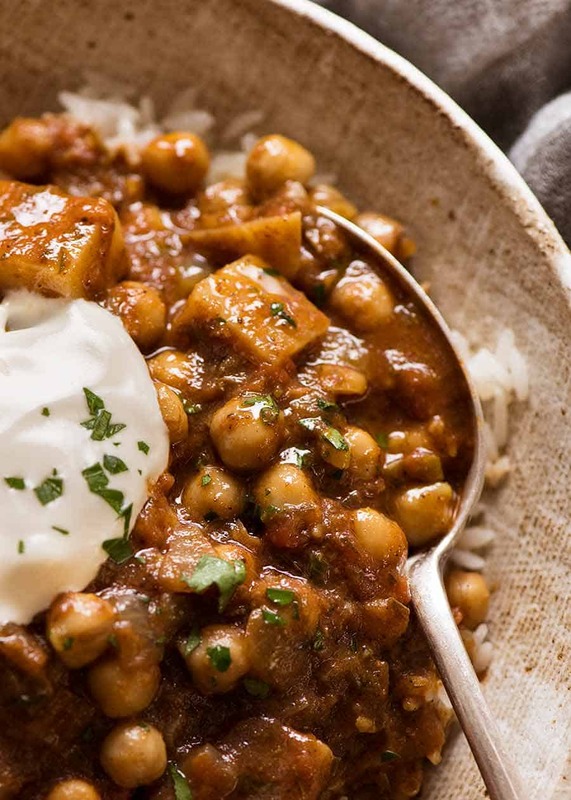 Source: This recipe is slightly modified from the Curry Channa and Aloo recipe from Immaculate Bites. Original recipe called for 1 scotch bonnet or habanero pepper, finely chopped. 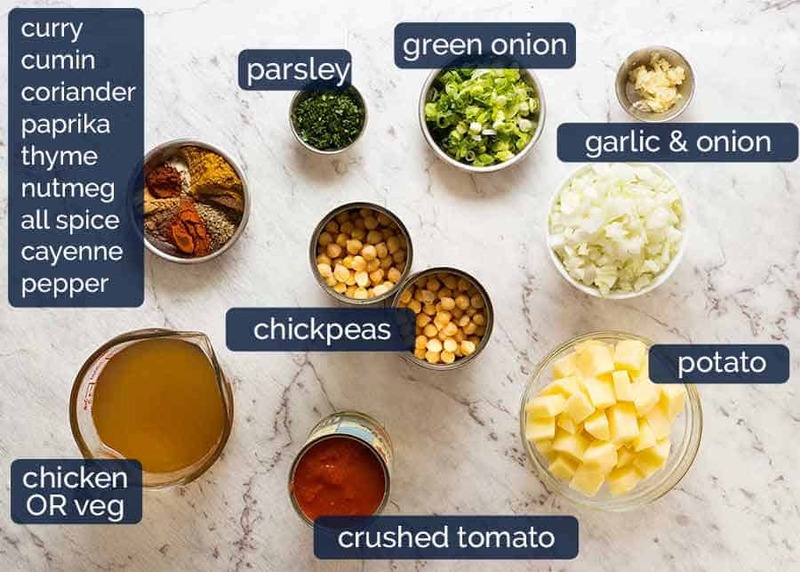 I’ve simplified it by using cayenne pepper for spiciness – I honestly can’t tell the difference (I’ve tried both ways). Also, the original recipe did not call for canned tomatoes. 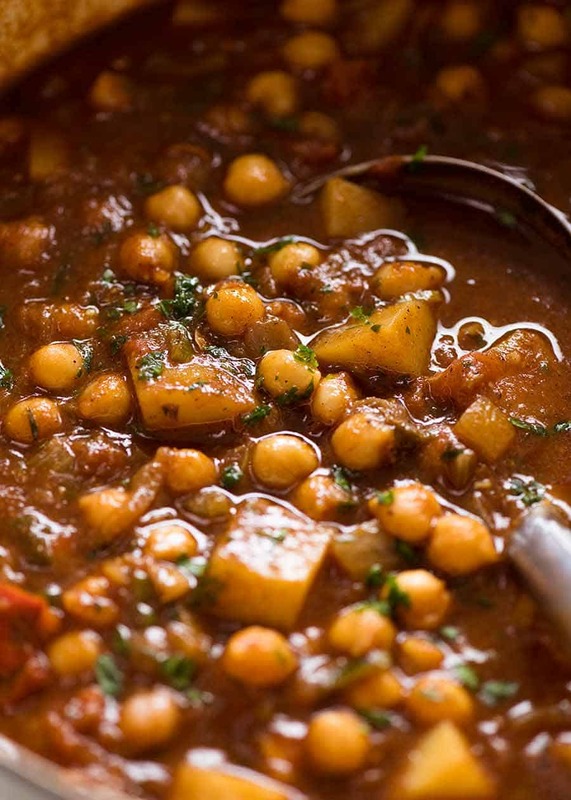 Some Trinidad Chana Aloo Curry recipes do. I added it to create a slightly thicker sauce. 6. Nutrition per serving, curry only (excludes rice). 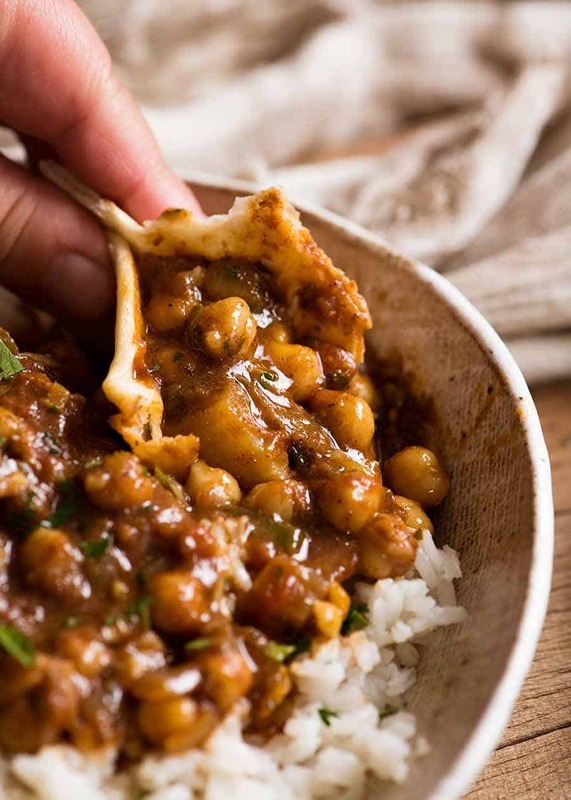 The post Chickpea Curry with Potato (Chana Aloo Curry) appeared first on RecipeTin Eats.